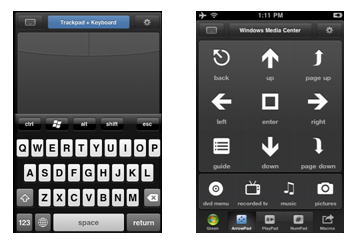 10/04/2012 – Two handy module applications easily transform your mobile device into a remote control. Ever thought of setting your Thecus® NAS (VLC player) as your dedicated multimedia source? Often users utilize their NAS to play movies or to enjoy music. Originally, a mouse and keyboard is required to navigate through media files that are in the NAS. However, with advanced remote control applications for both iOS and Android platforms, all you need to do now is sit back, relax and navigate via your Smartphone or tablet. For Apple users, HippoRemote is the app to look for and download. Some key characteristics of HippoRemote include: full international character support, split-screen keyboard & thumb scrolling, and support for Windows, Mac, and Linux. Simply download HippoRemote on your mobile device, sync to your Thecus® NAS and enjoy pure convenience and entertainment. For Android users, Valence can be found and downloaded via Google's Play Store for free. 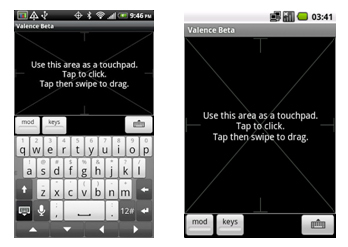 This app simply transforms your Android device to work like a wireless mouse and keyboard. In fact, no server app is needed in order to operate which makes things much easier. Valence offers the comfort of browsing and going through multimedia files on your sofa. Valence app is compatible with Mac, Linux and Ubuntu. Mobile devices has become a necessity, it's safe to say that majority of people carry at least one with them wherever they go. Furthermore, NAS devices are small and compact yet provide a hulk size amount of storage, perfect for HD multimedia. Thus, controlling your media player remotely such as VLC, makes your experience that much better. With the innovation of controlling via wifi and not infrared, users can now control anywhere around the house or office. No more restrictions due to infrared signals. With the ease of a finger touch on your mobile device, you are able to change volume, media content and much more.